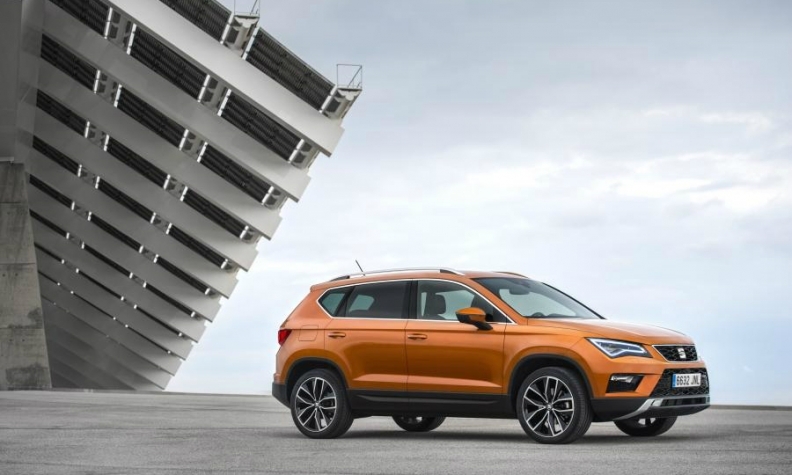 The Ateca SUV helped Seat return to profit. WOLFSBURG -- Volkswagen Group's Spanish brand Seat finally contributed to group earnings in 2016, swinging to a profit after years of chronic losses and nearly matching the return at its German sister brand VW. Its operating result jumped to 153 million euros on the back of cost reductions and the launch of the Ateca, the brand's first SUV, after posting a loss of 10 million euros last year. "Seat achieved the return to profitability with convincing vehicles such as the new Ateca. And the upward trend at Seat continues – patience pays off," VW Group CEO Matthias Mueller told reporters here on Tuesday at the company's annual earnings news conference. Revenue at the brand rose 3.8 percent to a record 8.9 billion euros, resulting in a margin of 1.7 percent - just shy of the VW brand's own 1.8 percent last year. The last time Seat posted an operating profit was a decade ago at the absolute peak of the European debt bubble in 2007, when the brand's core Spanish market broke the 1.5-million-unit barrier.